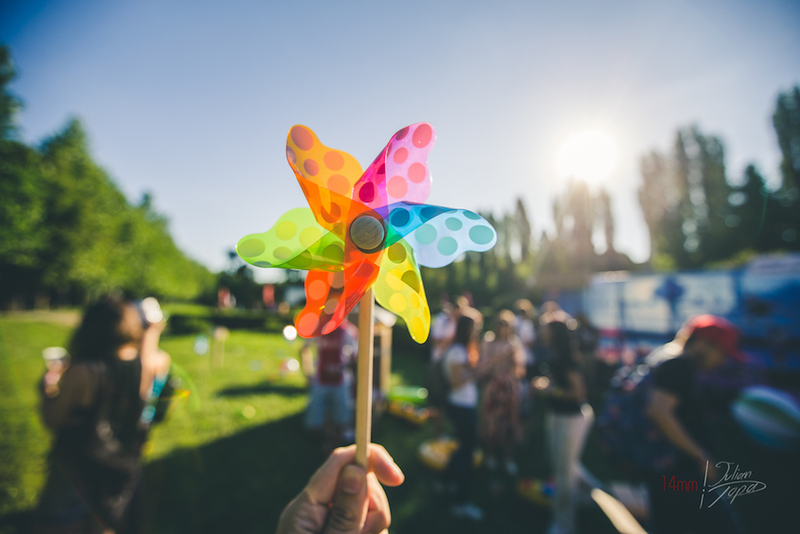 At its fourth edition, The Great Picnic was held mid-summer in the Botanical Garden of Bucharest. The audience was invited to sit comfortably on the grass and to discover the FANtastic universe of short films. Alongside cinema screening, the schedule was filled by cooking workshops, slack line and frisbee classes as well as an urban cuisine court. The atmosphere from the ShortsUp Great Picnic was entertained by the energy of the jazz music performed by the Ana Dubyk Cvartet. The event brought together many movie enthusiasts in the most loved cinema of the summer where short films and animations were screened and gained many applause and appreciation from the public. During The Great Picnic event, the short animation “An Ordinary Day” created by FAN Courier was screened for the first time. The animation was full of funny, ridiculous or weird real-life incidents, showing what a courier faces every day while completing his delivery. “The leader is the one who is bound to educate the market. Most of the times the brands communicate because they want to sell or to convince, while we wanted to find a transparent way to show the backstage of a delivery, with the good and bad parts, but especially, with humor.” explained Roxana Magopeț, PR&Marketing Manager FAN Courier. The entire FANtastic universe was prepared for the #GreatPicnic with an event display stand designed that had the purpose to teleport the spectator into the story of “An Ordinary Day” movie. The world from the animation was brought to the spectator in the garden and all the participants were invited to discover it. 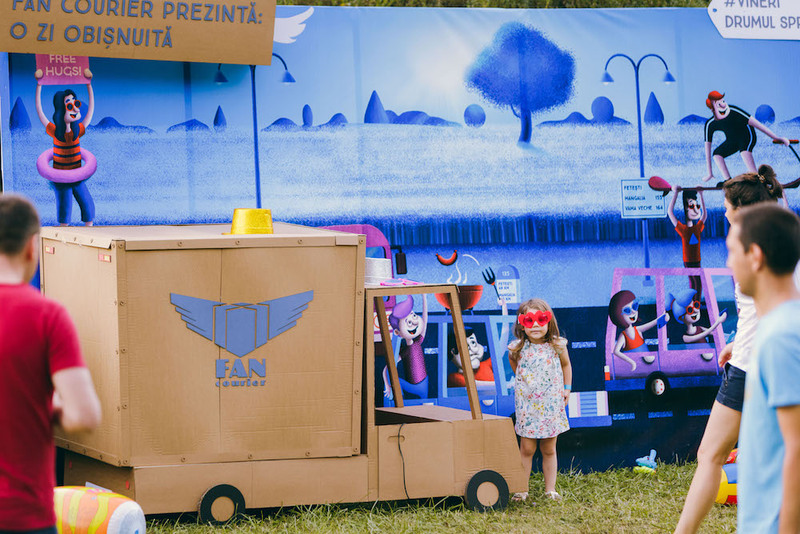 With the help of our friends from Foldo, the ideas from the animation have been recreated in cardboard and a summer fun corner was arranged for all the participants to enjoy. The atmosphere was completed by inflatable dinosaurs – because they are always a good idea – lifebelts, paper windmills, beach toys and other summer props. Furthermore, the movie enthusiasts were expected with five postcards illustrated by Paula and with picnic blankets as gifts for a more pleasant view. It was a crazy result, as you can see for yourselves. Each summer, The Great Picnic gathers movie and cinema art enthusiasts in one the most beautiful green areas from the capital city. This year, the event was hosted by The University of Bucharest and The Botanical Garden and delivered by FAN Courier. ShortsUp is one of the most daring independent cinema projects from Romania. It started in 2008 and in six year time it became a promoter of good short films from all over the world. In this short amount of time, the team has organized many innovative events that take the cinema experience to the next level. ShortsUP’s mission is to increase the visibility of short films, and, on the long term, their value.